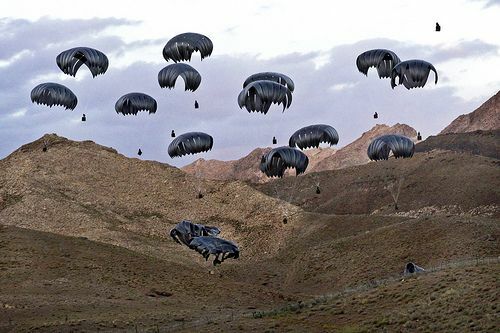 Twenty pallets of supplies float down over Forward Operating Base Baylough, Afghanistan for Red Tank, 1st Platoon, Delta Company, 1st Battalion 4th Infantry Regiment on June 13, 2010. Photo via the US Army by Staff Sgt. William Tremblay.